As you may be aware there is a regular Dharma meeting at a students private residence in West Kirby. 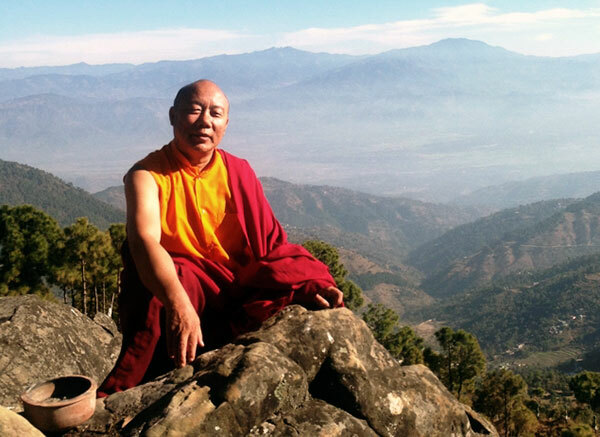 It is Lama’s wish that from the 4th of July, 2012 this meeting will be based around the book The 37 Practices of Bodhisattvas. Ideally this program will be completed within six weeks, but this of course depends on students questions and level of understanding etc. Please consider purchasing this book if your situation allows it. (The above link will lead you to a page on this site with more information and a link to Amazon should you wish to purchase it there). 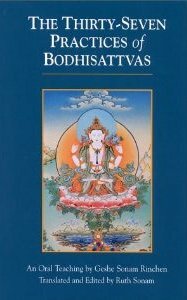 This is a well respected text with the Tibetan tradition and well worth the students investment of time and effort. For those without a copy sharing will of course be possible but it is better for individual understanding if each student has their own copy as this will allow for individual study at home. If any student wishes to attend, but has not yet visited Beryl’s home, please contact Phil Hynes on 07875 693330 or Dave Felton on 07546 264435.